As the cost of dental treatment in the UK, keeps on soaring there is now another affordable option – travel to Poland. Back in 2011, the Daily Telegraph ran a story about the increasing numbers of people seeking treatment abroad, especially for dental work and cosmetic dentistry. With recent funding changes in the NHS, it seems that this issue of affordability in the UK will be compounded further with various agencies and consumer organisations suggesting that the incidents of people travelling to Poland for their dental treatment will increase dramatically. 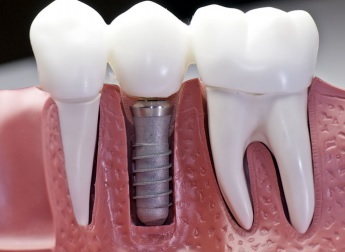 Dental implants - growing in popularity but expensive in the UK; could travelling to Poland be the answer? A patient recently complained about the amount they were paying for a simple dental check-up. It seems that two minutes in the chair, a quick oral examination and an obligatory x-ray in some areas of the UK can cost just short of £100. In fact, research by the respected consumer organisation ‘Which?’ back in 2010 and 2011 suggests that this fee can vary considerably from one area of the UK to another; some patients will pay as ‘little’ as £45, others up to £124. The impact of charging such fees is now beginning to tell, it seems, on the health and state of the nation’s teeth. With the effects of the recent recessions still fresh in people’s minds, it is no wonder that people are choosing not to go to the dentist for the usual check-up. 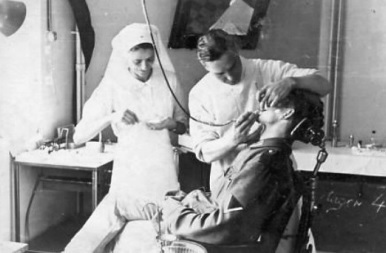 Back in the glory days of free NHS dental care, everyone, it seemed, went for a 6 monthly check-up. Looking back, these days now seem hallucinogenic as official figures from 2009, had already revealed that barely half the population – a meagre 52.5% - had visited the dentist in the previous 2 years. Tesco, although a well-known supermarket, also commission research and in 2009, they revealed the results of their dental survey and found that 42% of people also put off essential dental work and treatment as a direct result of the cost involved. As a result of this, and the ongoing saga of dental fees in the UK, there are powerful agencies getting involved; there are investigations past and present that suggest the fees being charged for both NHS and private dental work are unfair – and we are charging the highest fees in Europe. But wherever there are losers, someone gains and it seems that in this case, the dental practices in Europe are reaping the rewards. There are many countries with great health systems, who can offer the same treatments, to the same high standards and one of those countries is Poland. Krakow is a fine city that has lived through the turbulence of World War II and, since its inception into the European Union in 2004 has been able to offer great dental services to people from many countries – and the British have started to take advantage. But, there are always problems... or are there? As the terms ‘medical tourism’ and ‘dental holidays’ were coined, many people worried about the quality of the service on offer as well as the quality of the equipment and chemicals etc., spooked possibly in recent years by the breast implant scandal. But it seems there is a way forward. Package companies like us, offer British customers seeking dental treatment – including a whole heap of cosmetic dentistry – a way to access English speaking dentists, offering brilliant dental treatment, at a fraction of the cost you would pay here in the UK. The British Dental Association, back in 2008, suggest that the regulation of dental practices and treatments in the EU is not as strictly regulated as those in the UK, but this does not seem to be stopping an estimated 70,000 people per year seeking and finding dental treatment in Poland. ‘Which?’ also found that the average price of the crown in the UK could cost anything from £250 - £518 but in Krakow, the second largest and oldest city in Poland, the same crown would cost £160. As a UK based dental travel operator, we can get the ball rolling on your behalf, with a great package deal to seek the dental treatment you need, whilst taking in the delights of some of the most striking, eclectic mix of architecture in Europe, found only on the streets of Krakow. Immediately discover the great deal and the best in dental holidays with us.